The crew of the Coast Guard Cutter John McCormick stands proud facing the crowd of the commissioning ceremony while they “bring the cutter to life” at Coast Guard Base Ketchikan, Alaska, April 12, 2017. 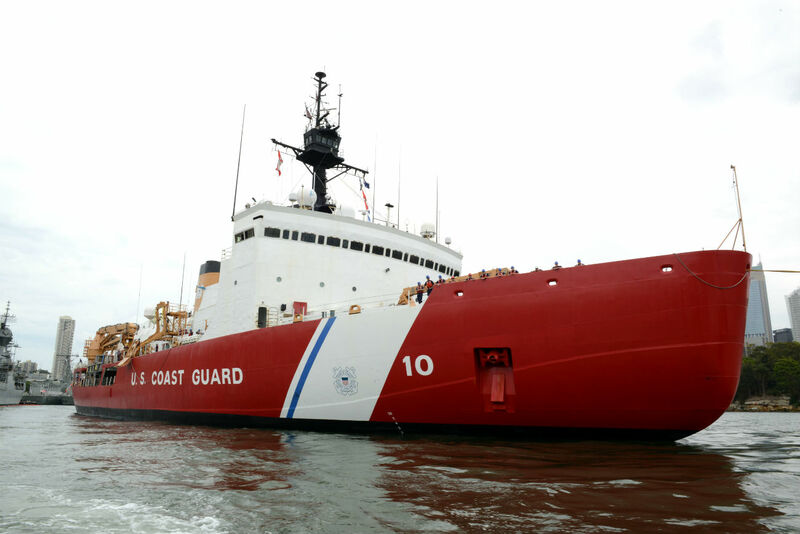 The cutter McCormick is the Coast Guard's first 154-foot Fast Response Cutter to be commissioned in Alaska. U.S. Coast Guard photo by Petty Officer 1st Class Jon-Paul Rios. The crew of the US Coast Guard Cutter John McCormick stands proud facing the crowd of the commissioning ceremony while they “bring the cutter to life” at Coast Guard Base Ketchikan, Alaska. These US Coast Guard machine images were photographed by military veterans and service members. 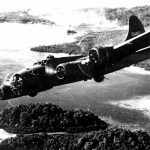 2016 was the 100 year anniversary of US Coast Guard aviation. To help commemorate the event, select Coast Guard units received a MH-65D helicopter with a centennial paint scheme. U.S. Coast Guardsmen aboard a 45-foot Response Boat-Medium conduct an offshore patrol during Operation Kohola Guardian in Maui, Hawaii, Feb. 14, 2017. Operation Kohola Guardian is a cooperative operation between state and federal partners to protect the humpback whale migration to the Hawaiian Islands. 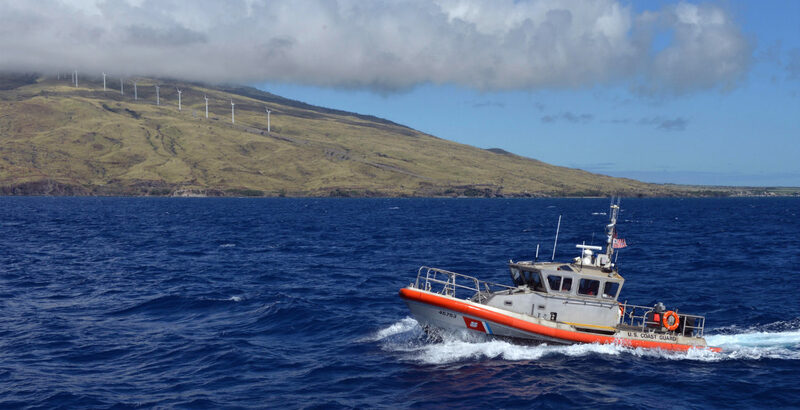 U.S. Coast Guardsmen aboard a 45-foot Response Boat-Medium conduct an offshore patrol during Operation Kohola Guardian in Maui, Hawaii. The Coast Guard Cutter Munro passes under the Golden gate Bridge on its way into the Bay Area April 6, 2017. 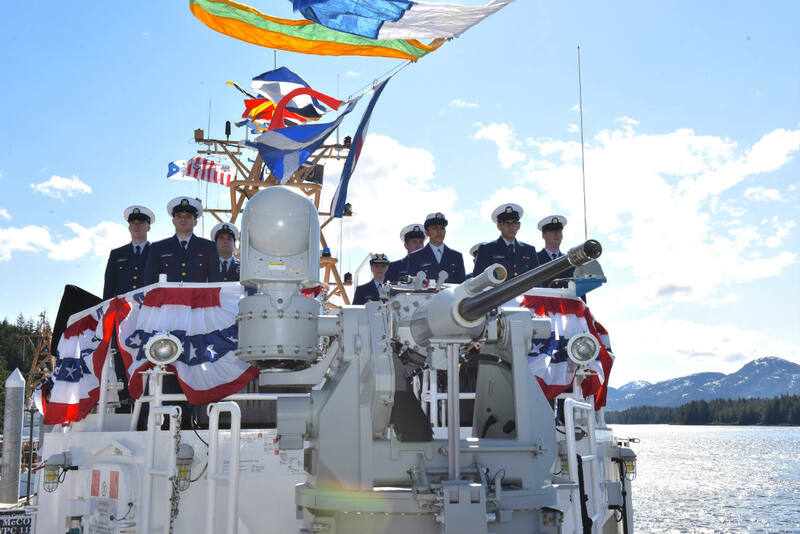 The Munro, the Coast Guard’s newest National Security Cutter, was commissioned in Seattle. 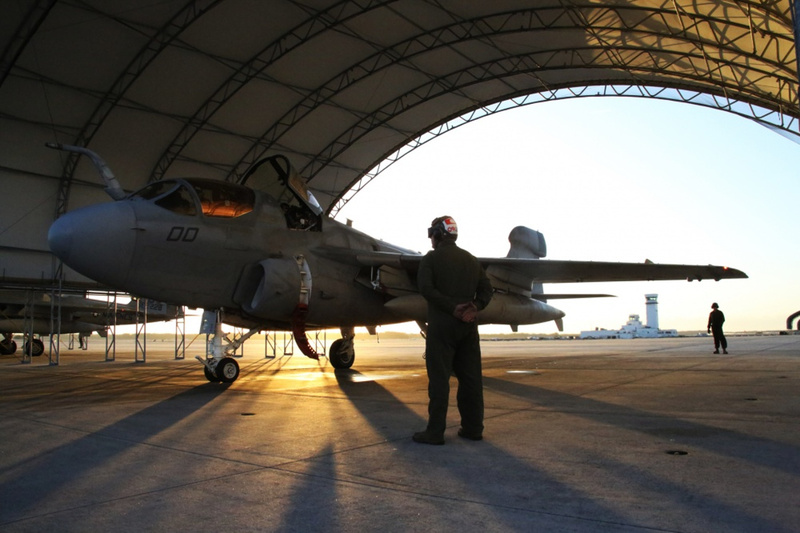 U.S. Coast Guard photo by Petty Officer 2nd Class Adam Stanton. 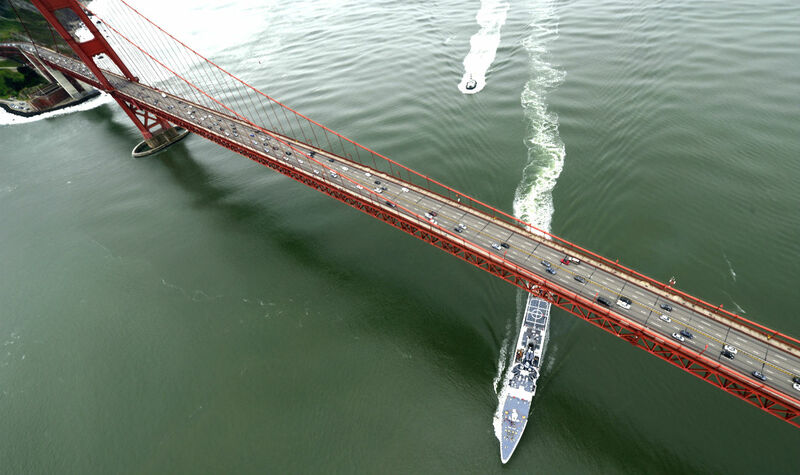 The Coast Guard Cutter Munro passes under the Golden gate Bridge on its way into the Bay Area. The Coast Guard Cutter John McCormick (WPC 1121) and crew make way to their home port at Coast Guard Base Ketchikan in Ketchikan, Alaska, March 217, 2017. The Fast Response Cutter McCormick and its crew completed a 6,200-mile trip from Key West, Florida. 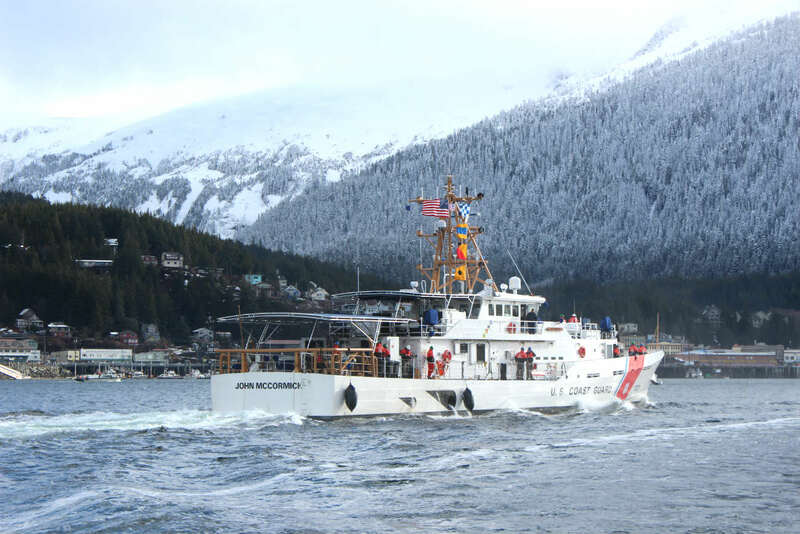 The Coast Guard Cutter John McCormick (WPC 1121) and crew make way to their home port at Coast Guard Base Ketchikan in Ketchikan, Alaska. The Fast Response Cutter McCormick and its crew completed a 6,200-mile trip from Key West, Florida. 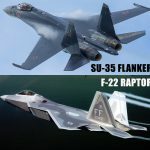 These US Coast Guard machine images were photographed by military veterans and service members. A UH-60 Blackhawk helicopter from 1-207th Aviation Regiment, Alaska Army National Guard, sling loads equipment back to the Ralph Wien Memorial Airport in Kotzebue, Alaska, Aug. 24, 2016, during exercise Arctic Chinook. Arctic Chinook is a joint U.S. Coast Guard and U.S. Northern Command sponsored exercise which focuses on multinational search and rescue readiness to respond to a mass rescue operation requirement in the Arctic. 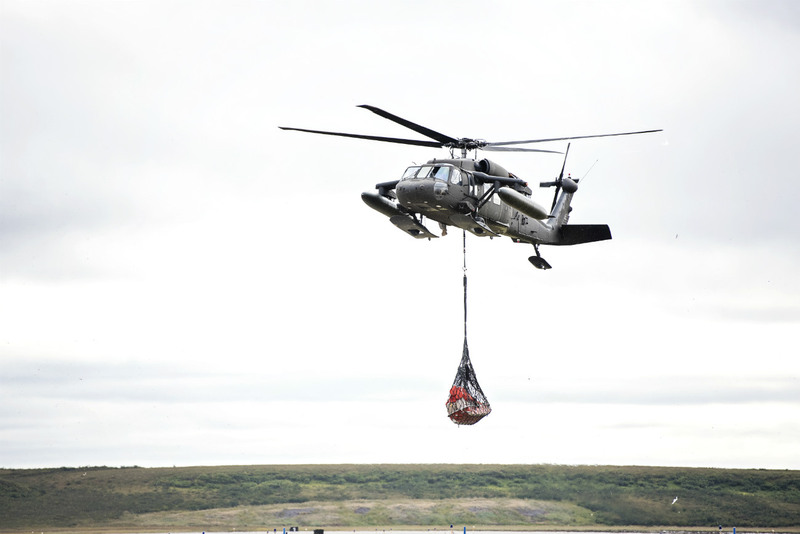 A UH-60 Blackhawk helicopter from 1-207th Aviation Regiment, Alaska Army National Guard, sling loads equipment back to the Ralph Wien Memorial Airport in Kotzebue, Alaska. The Coast Guard and partner agencies conducted an ocean rescue demonstration near Ventura, California April 18, 2017. 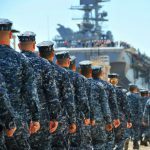 The demonstration included members of the U.S. Coast Guard, National Parks Service, Tow Boat US, Oxnard Fire Department, Channel Islands Harbor Patrol, Ventura County Fire Department. 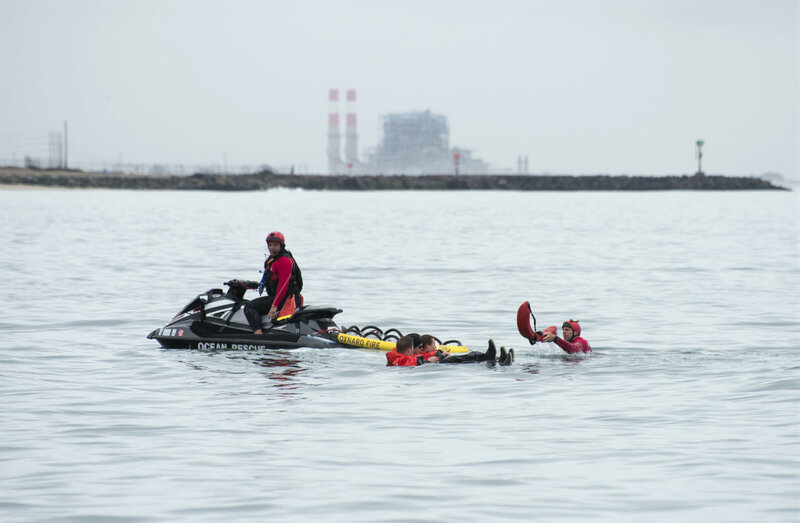 The Coast Guard and partner agencies conducted an ocean rescue demonstration near Ventura, California. A Coast Guard C-130 Hercules taxis the runway at Coast Guard Air Station Elizabeth City, North Carolina, Tuesday, June 14, 2016. 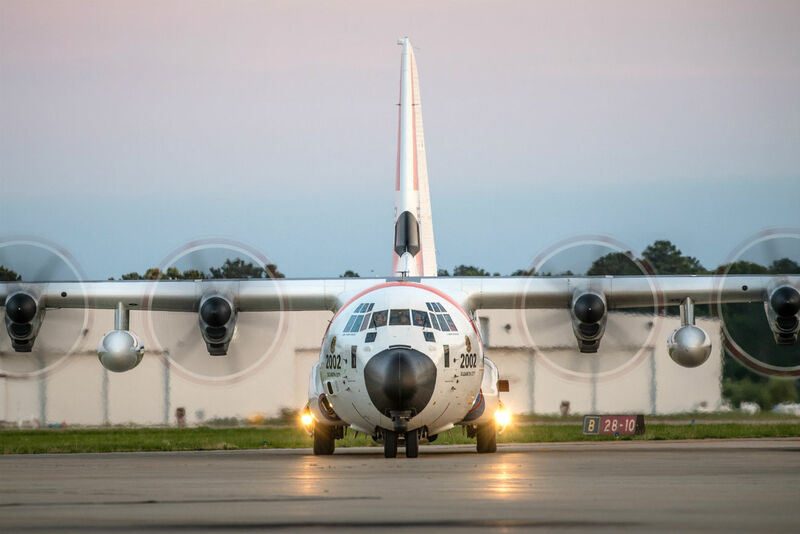 A Coast Guard Lockheed C-130 Hercules taxis the runway at Coast Guard Air Station Elizabeth City, North Carolina. Crewmembers from Coast Guard Station Apra Harbor patrol the Pacific Ocean near Guam in a 29-foot Response Boat-Small Tues., Dec. 13, 2016. 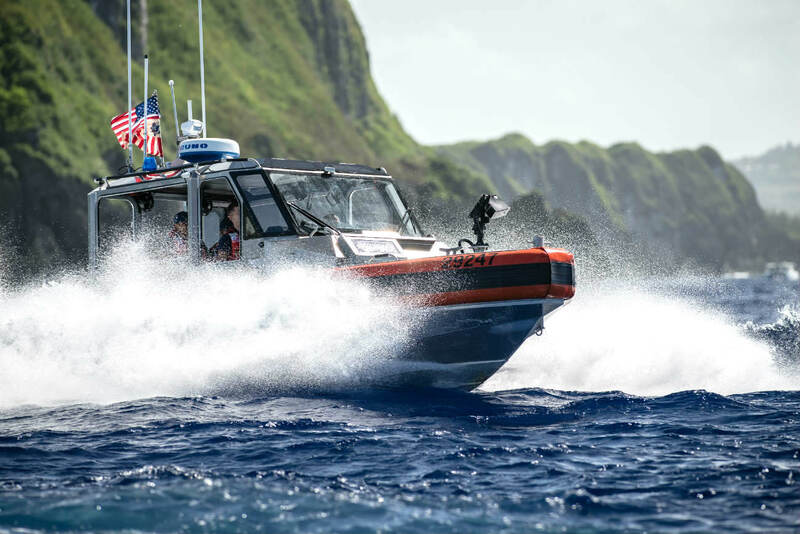 Crewmembers from Coast Guard Station Apra Harbor patrol the Pacific Ocean near Guam in a 29-foot Response Boat-Small.These US Coast Guard machine images were photographed by military veterans and service members. Members of Coast Guard Forward Operating Base Point Mugu and Los Angeles County Fire Department conduct joint cliff rescue training at Point Vicente Lighthouse March 21, 2017. 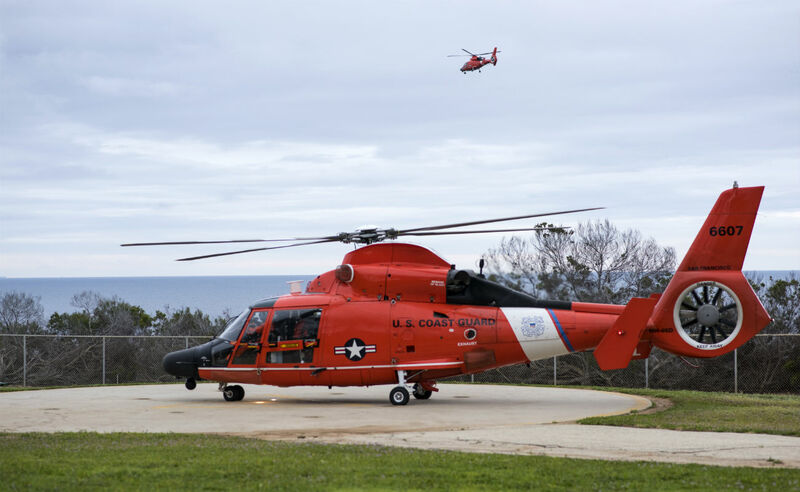 Members of Coast Guard Forward Operating Base Point Mugu and Los Angeles County Fire Department conduct joint cliff rescue training at Point Vicente Lighthouse. The U.S. Coast Guard Cutter Polar Star and its crew depart Sydney, Australia, after a multi-day port call to top off needed ship supplies prior to heading south for Antarctica, Jan. 1, 2017. The crew of the Polar Star is operating in Antarctica as part of Operation Deep Freeze, the U.S. military’s component of the civilian-managed U.S. Antarctic Program, and the Coast Guard, working with personnel from the Air Force and the Navy, help resupply Antarctic research stations for the upcoming year. The U.S. Coast Guard Cutter Polar Star and its crew depart Sydney, Australia, after a multi-day port call to top off needed ship supplies prior to heading south for Antarctica. U.S. Coast Guard flight deck crew members aboard maritime security cutter USCGC Bertholf (WMSL 750) tie down an MH-65 Dolphin helicopter arriving from Coast Guard Air Station Los Angeles to the deck to secure it for sea transit in Kodiak, Alaska, Aug. 22, 2012, as part of Operation Arctic Shield 2012. 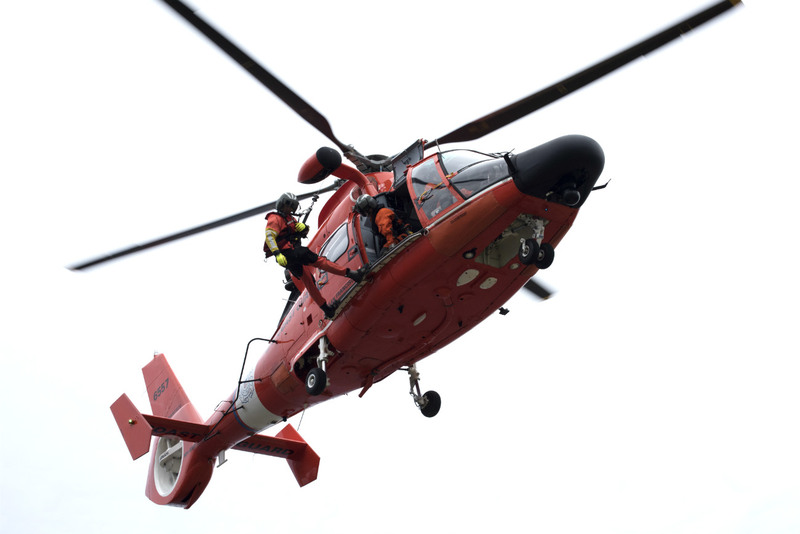 Arctic Shield is a U.S. Coast Guard-directed exercise in conjunction with federal, state and tribal officials designed to test the Spilled Oil Response System as well as strengthen law enforcement and search-and-rescue capabilities in the Arctic regions of Alaska. 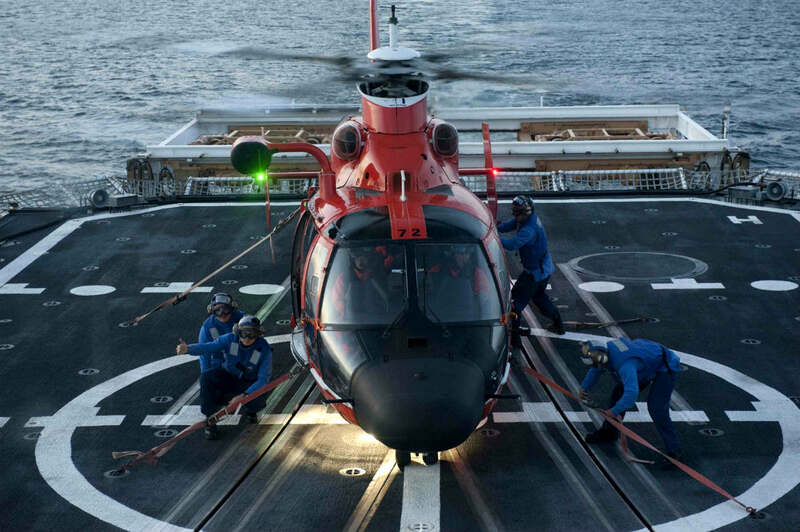 U.S. Coast Guard flight deck crew members aboard maritime security cutter USCGC Bertholf (WMSL 750) tie down an MH-65 Dolphin helicopter. 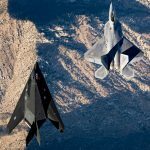 These US Coast Guard machine images were photographed by military veterans and service members. 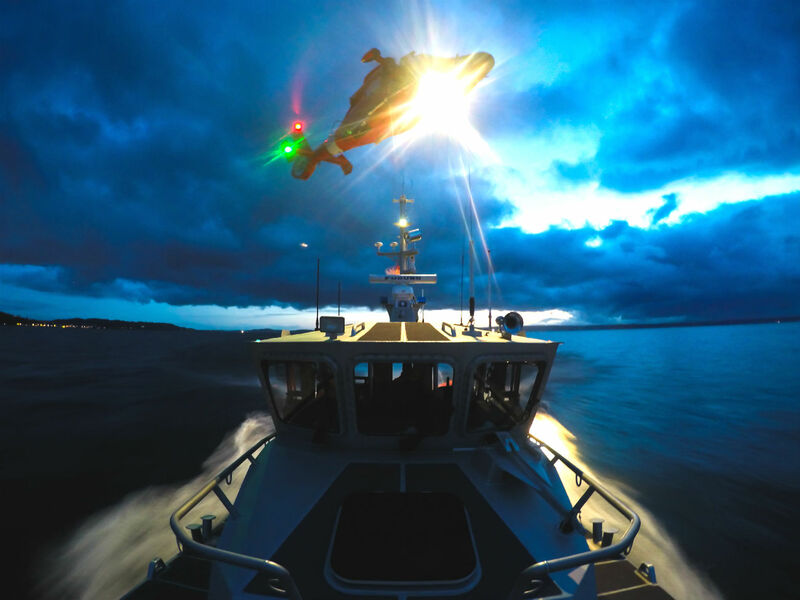 A 45-foot Response Boat-Medium from Coast Guard Station Seattle and an MH-65 dolphin helicopter from Coast Guard Air Station Port Angeles conduct night time hoisting training on April 4, 2016. Crews conduct weekly training to remain proficient at hoisting, even in adverse weather conditions. 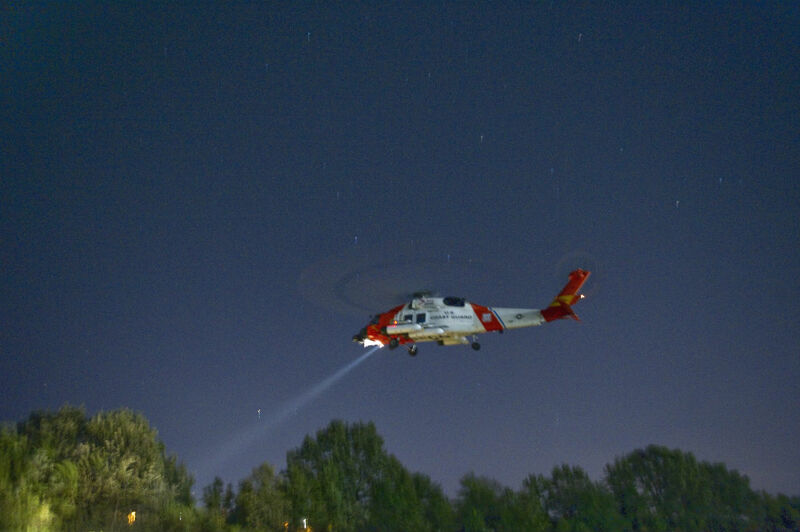 A 45-foot Response Boat-Medium from Coast Guard Station Seattle and an MH-65 dolphin helicopter from Coast Guard Air Station Port Angeles conduct night time hoisting training. A U.S. Coast Guard H-60 Jayhawk departs Coast Guard Base Portsmouth, in Portsmouth, Va., on October 10, 2016, following a a damage assessment of North Carolina. Coast Guard personnel have been working with numerous state and local agencies in response to the storm damage. 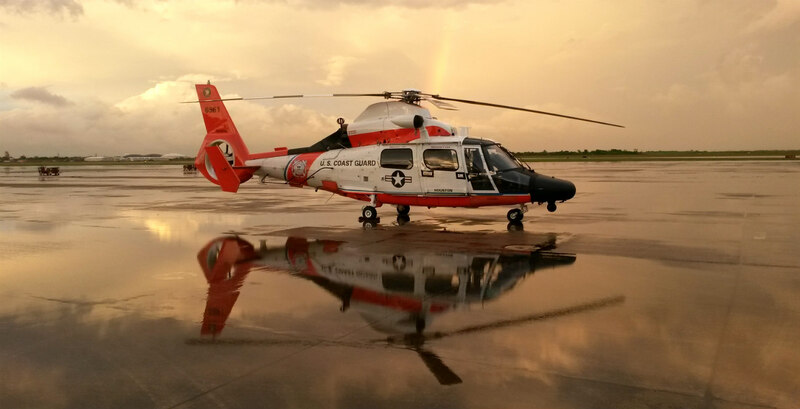 U.S. Coast Guard photograph by Coast Guard Auxiliarist Trey Clifton. A U.S. Coast Guard H-60 Jayhawk departs Coast Guard Base Portsmouth, in Portsmouth, Va. following a damage assessment of North Carolina. 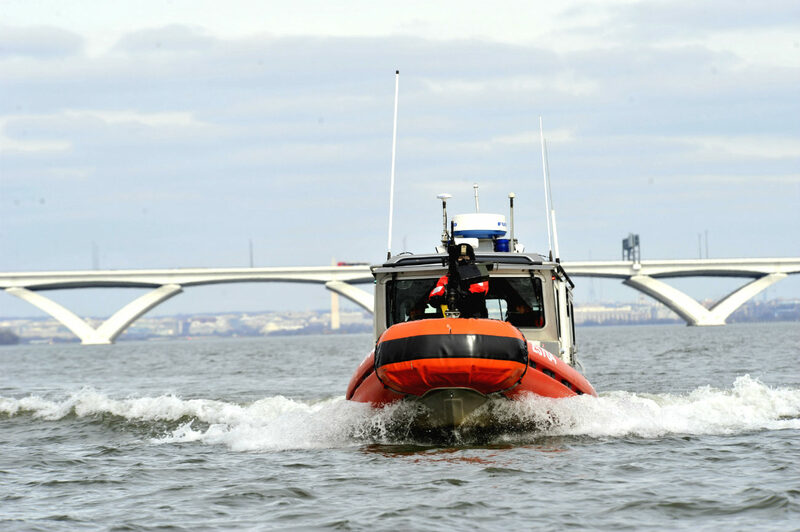 Coast Guard crewmembers from Maritime Safety and Security Team New York aboard a 25-foot Response Boat – Small enforce the waterway security zone surrounding Washington, D.C. leading up to 2017 presidential inauguration. The Coast Guard is working with federal and state partners to protect the nation's capital. Coast Guard crew members enforce the waterway security zone surrounding Washington, D.C. leading up to 2017 presidential inauguration. The 225-foot Coast Guard Cutter Oak is underway in Buzzards Bay, Massachusetts, Wednesday, March 29, 2017 to replace seasonal aids to navigation. This was Oak's first time operating as a First Coast Guard District Cutter in Northeast waters as the cutter recently moved to its Newport, Rhode Island, homeport from Charleston, South Carolina. 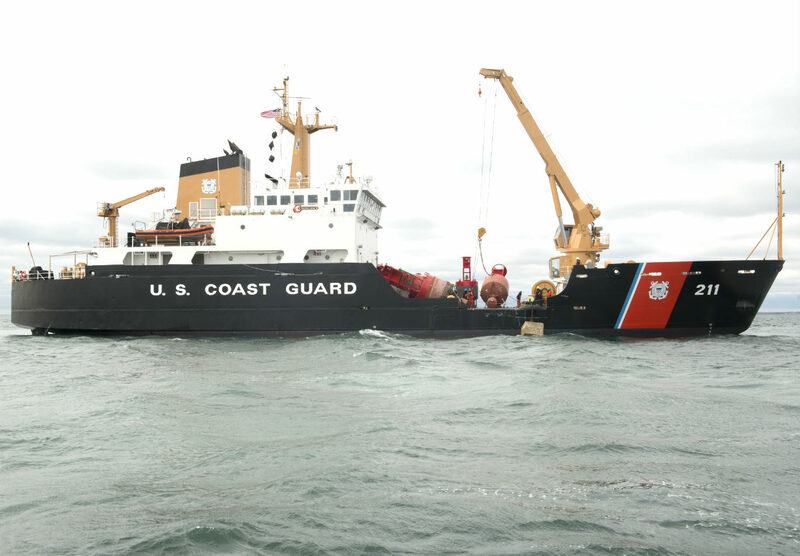 The 225-foot Coast Guard Cutter Oak underway in Buzzards Bay, Massachusetts, to replace seasonal aids to navigation. These US Coast Guard machine images were photographed by military veterans and service members. 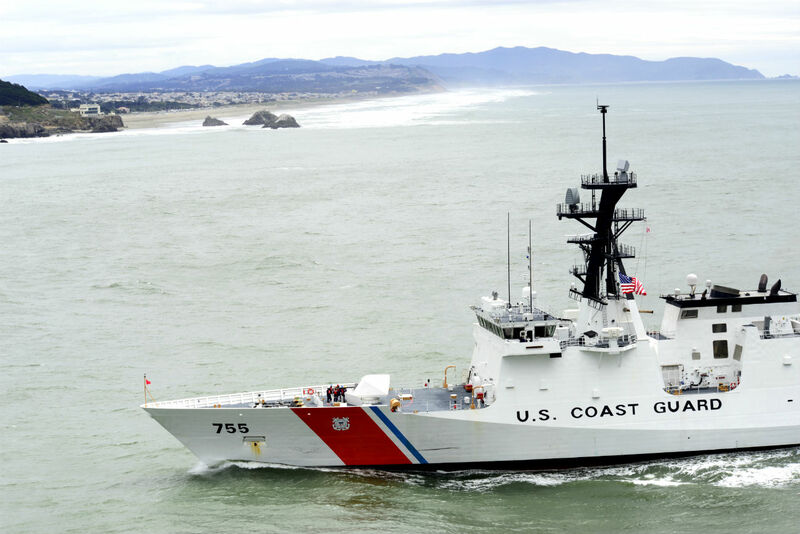 The Coast Guard’s newest National Security Cutter, Munro, enters the Bay Area on its way to the Golden Gate Bridge April 6, 2017. The Munro is 418-feet in length, has a top speed in excess of 28 knots and a range of 12,000 nautical miles. The Coast Guard’s newest National Security Cutter, Munro, is 418-feet in length, has a top speed in excess of 28 knots and a range of 12,000 nautical miles. Petty Officer 3rd Class Jeffrey A. Evans, a maritime enforcement specialist, trains on a .50 caliber machine gun, Tuesday, March 21, 2017 in the Eastern Pacific Ocean. The Seneca is a 270-foot cutter homeported in Boston. 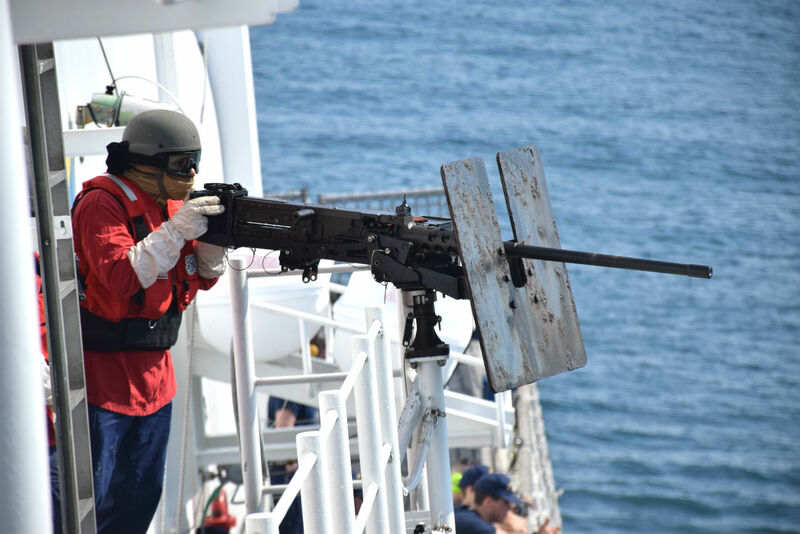 Petty Officer 3rd Class Jeffrey A. Evans, a maritime enforcement specialist, trains on a .50 caliber machine gun in the Eastern Pacific Ocean. The Seneca is a 270-foot cutter homeported in Boston. Members of Forward Operating Base Point Mugu participated in cliff rescue training off the coast of Point Vicente Lighthouse, March 21, 2017. The MH-65 Dolphin helicopter crews conducted several hoist scenarios including rescuing a mannequin from a cliff face. Members of Forward Operating Base Point Mugu participated in cliff rescue training off the coast of Point Vicente Lighthouse. A 45-foot Response Boat-Medium from Coast Guard Station Seattle gets underway for a morning patrol through Elliott Bay, Wash., on August 18, 2016. 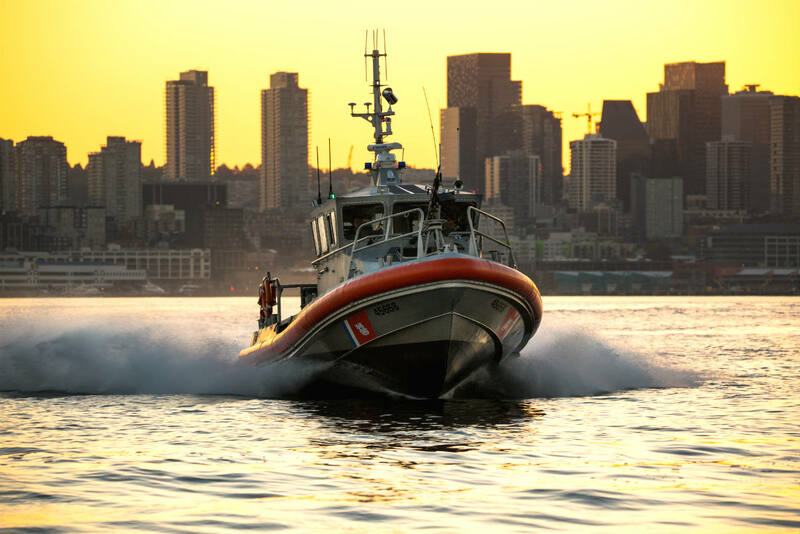 Crews regularly conduct patrols throughout the Puget Sound, ensuring boaters are in compliance with all applicable federal laws and regulations. A 45-foot Response Boat-Medium from Coast Guard Station Seattle gets underway for a morning patrol through Elliott Bay, Wash. See all military images. We hope you enjoyed these US Coast Guard machine images and have a small favor to ask. Please consider sharing this post so others can easily find and enjoy these images as well.